Just Professionally Painted. Spacious Corner Suite With Juliet Balcony, Granite Counters, Marble Master Ensuite With Seperate Shower. The Building Offers A Roof Terrace With Garden, BBQ’s & An Outdoor Dining Area Right @ Yonge And Bloor! You’re Not Just Buying A Condo, You’re Buying A Lifestyle! 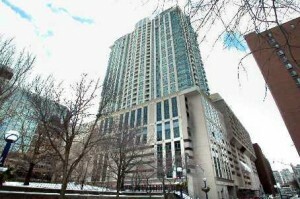 Direct Access To Holt Renfrew, The Bay, The Subway, Groceries And So Much More.